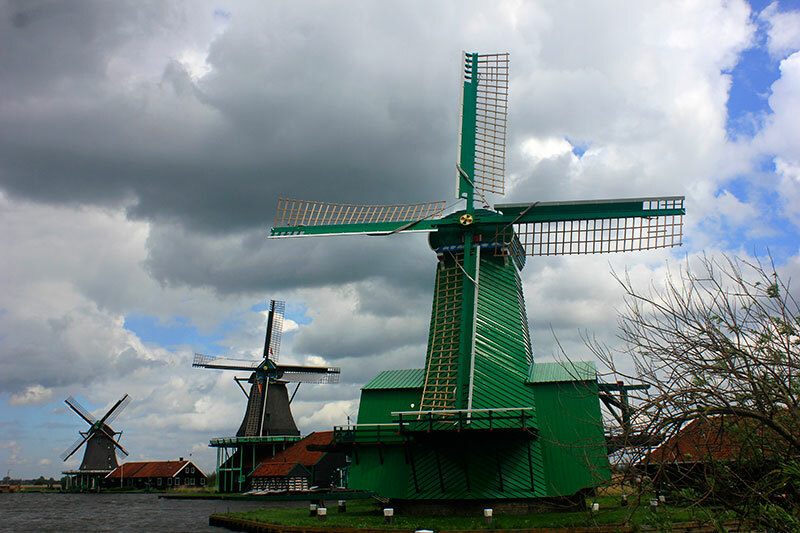 Zaanse Schans is one of the best-loved tourist destinations in Netherlands. Nearly a million people visit the place each year. The village presents a picture of what life was in Netherlands in the eighteenth and nineteenth centuries. It has old houses, traditional windmills and workshops. 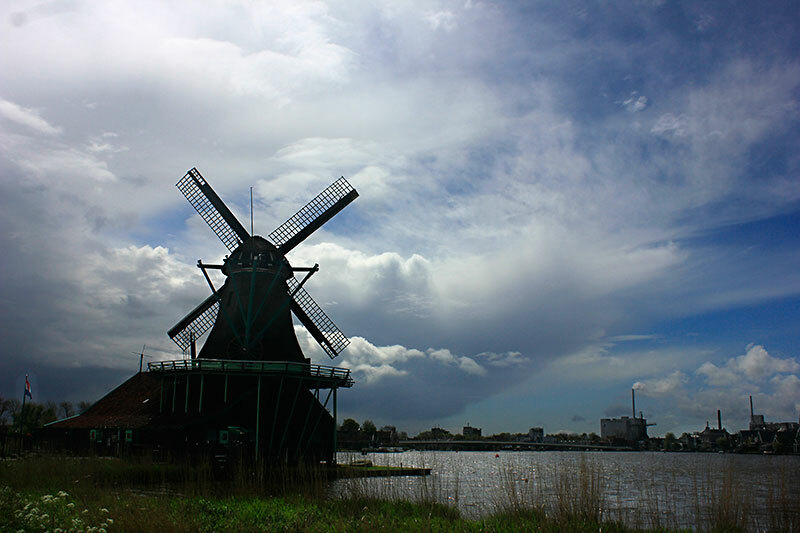 There were 600 windmills in the Zaan region in the old days. 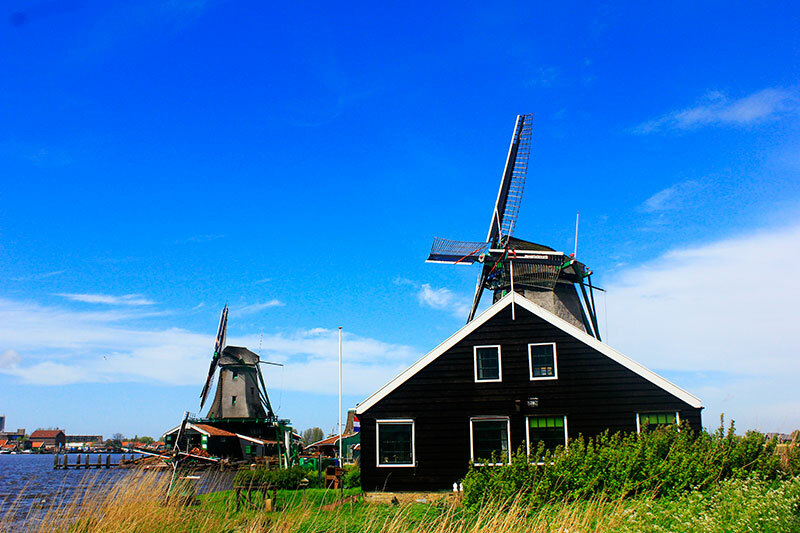 Now there are ten well-preserved historic windmills in the typical Dutch wooden architectural style. They date back to the 18th and 19th centuries. I have been fascinated by the old windmills of Netherlands, photos of which I used to come across in print media and on the internet. Although we have windmills in Tamil Nadu, Rajasthan, Gujarat, Karnataka, and Maharashtra , these are the modern types and used in generation of wind power. They look totally different and fail to catch the imagination. 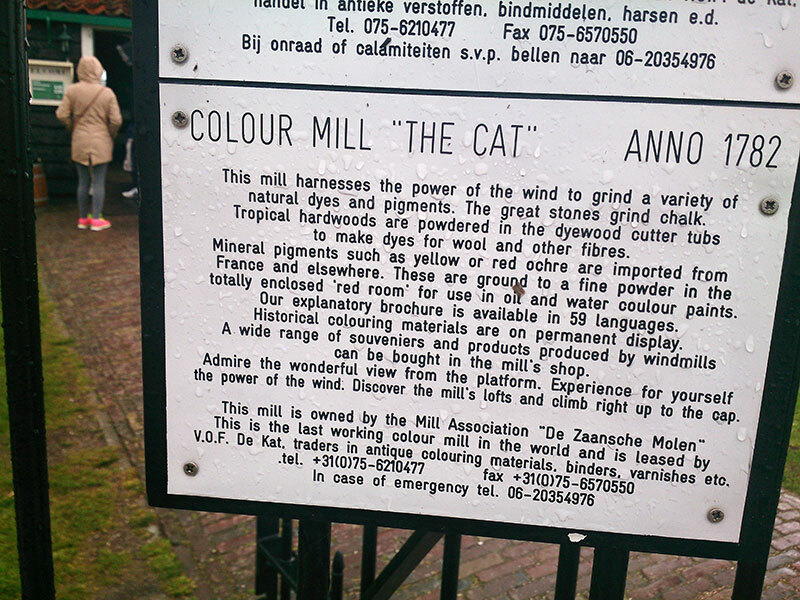 Historically, windmills in Holland served many purposes. The most important probably was pumping water out of the lowlands and back into the rivers beyond the dykes so that the land could be used for farming. 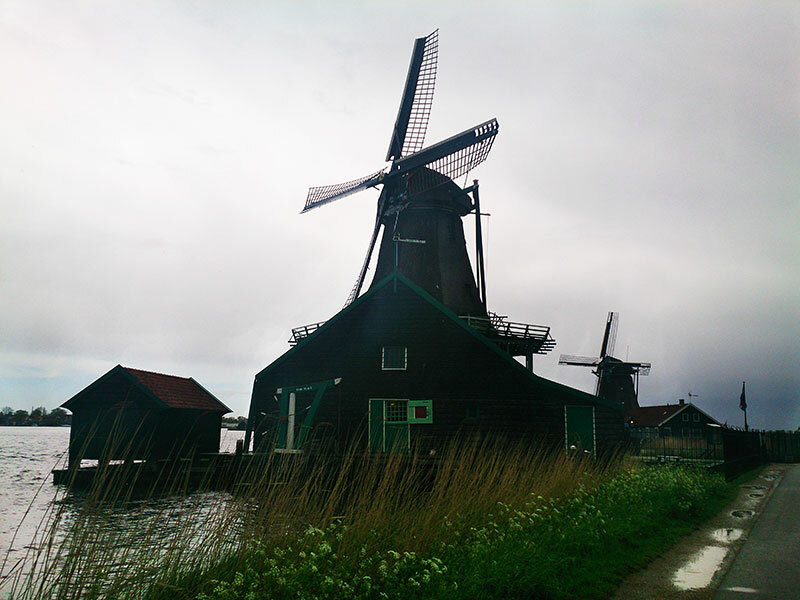 When I reached Zaanse Schans, the sun was shining. But the weather conditions quickly changed and it started to rain. The rains stopped shortly and it was sunny again. Weather changes many times during the day. The terrain in Netherlands is flat, with hardly any hill or mountain within sight. Perhaps that is why the area is so windy. The wind conditions make Netherlands a good location for windmills. The fluttering flag in the video shown below will give you a feel about the wind conditions during my visit. At the base of each windmill, we could see a workshop. Here the wind power is used to grind dyes, colours, oils, mustard, pepper and other products. Zaanse Scans is on the banks of the river Zaan. There are jetties for parking of private boats. I understand that there are plans to soon bring cruise ships directly to the place. The landscape has immense grasslands, criss-crossed by a large number of canals and dykes. We could see a number of goats and ducks in the village. They are tame and do not trouble the visitors. 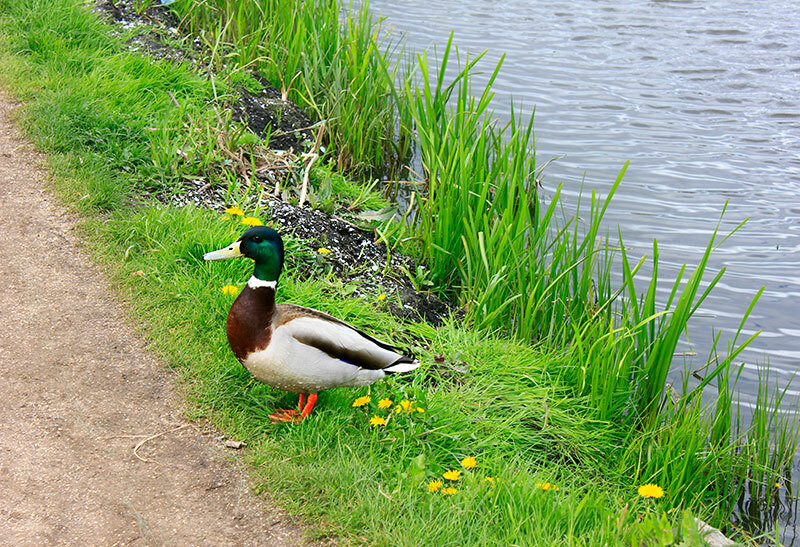 One duck came out of the water after a swim and stood still till I clicked a photo. You can see the photo below. There are several shops spread along the village. They sell Dutch wooden clogs, memorablia, Delft Blue porcelain, ice creams, snacks and cheese. There is also an a-la-carte restaurant. After sampling many types of cheese, I bought smoked goat cheese and it was delicious. In India, we do not get to see many different types of cheeses. 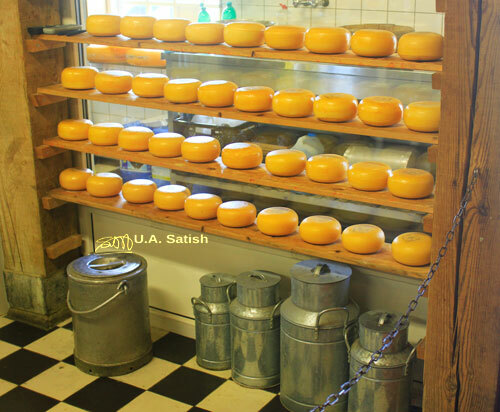 However, under Indian climatic conditions the shelf life of European cheeses probably do not extend beyond 2-3 weeks. 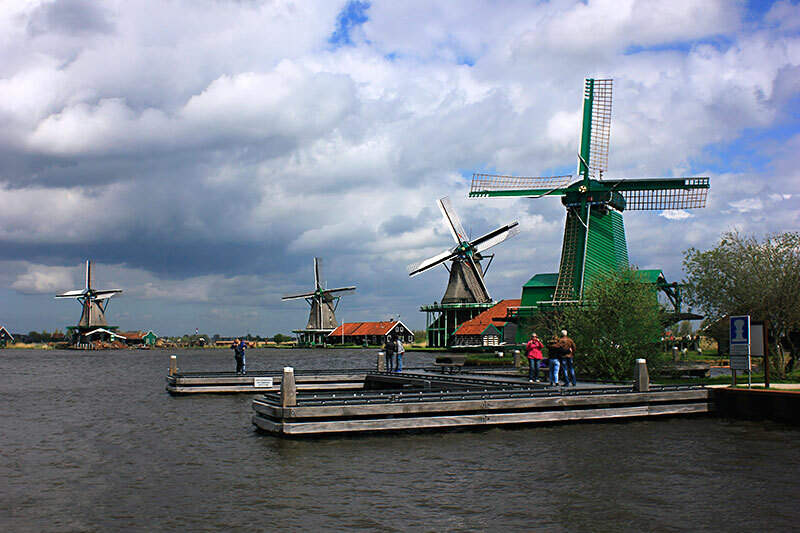 Zaanse Schans can be reached in 40 minutes by bus from Amsterdam Centraal station. 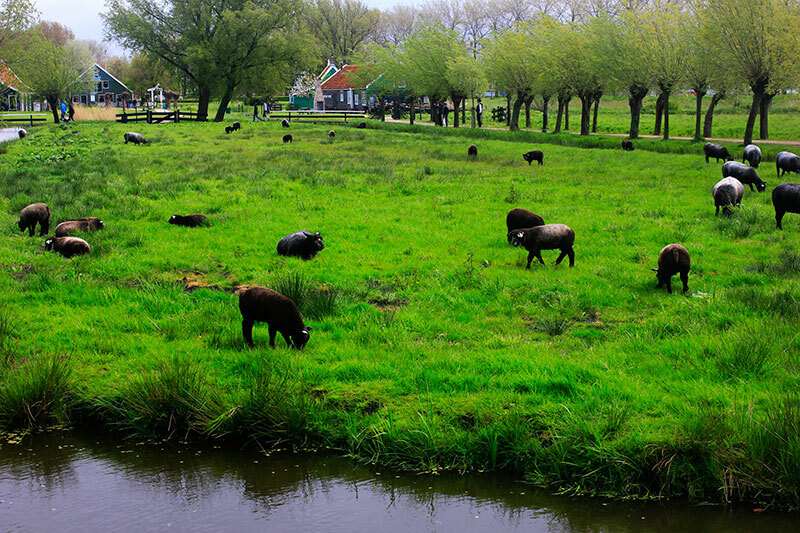 Bus 391 departs every 15 minutes to Zaanse Schans. Zaanse Schans can be visited the whole year. In the high season (April to November), almost everything is open between 10:00 and 17:00 hours. In the low season, some facilities may not be open on all days. 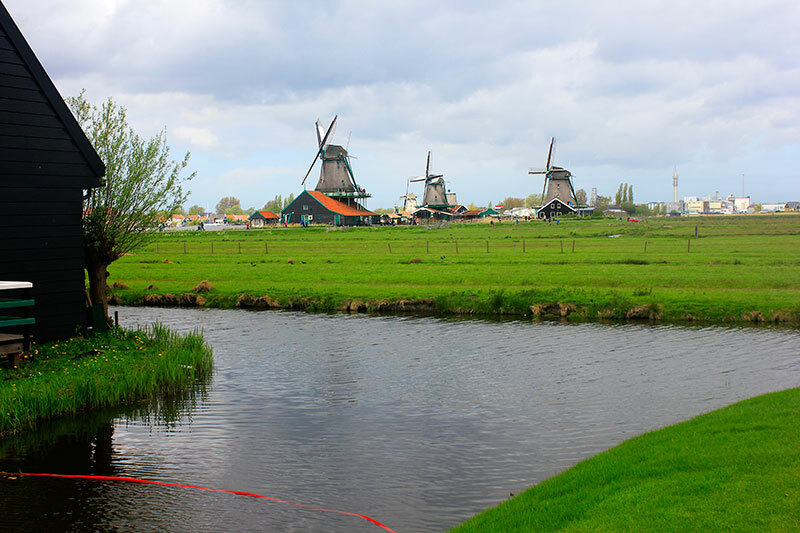 Other outdoor attractions in Zaanse Schans include bike rides and boat cruises, both of which I have not tried. Overnight accommodation in one of the traditional houses is also possible.